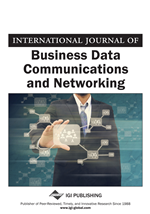 This article presents a Monte Carlo simulator (MCS), which is embedded within iCAD, which is a design and analysis tool that concurrently synthesizes network topology, server placement, and file allocation for application-specific networks. We formulated the three problems as a single optimization problem, where the objective is to minimize the design cost, subject to the satisfactions of the design and performance constraints. An evolutionary approach is used to search the design space. During each evolution cycle, an analytical model (network of M/M/1 queues) is used to evaluate the network topology. At the same cycle, the embedded MCS is used to evaluate the placed servers. MCS is used due to some uncertainty concerning with the requesting times of file transfer by the clients that can lead to unacceptable performance by the servers. Our experimental results have demonstrated the effectiveness of two heterogeneous analysis methodologies in evaluating the designs in a short time.